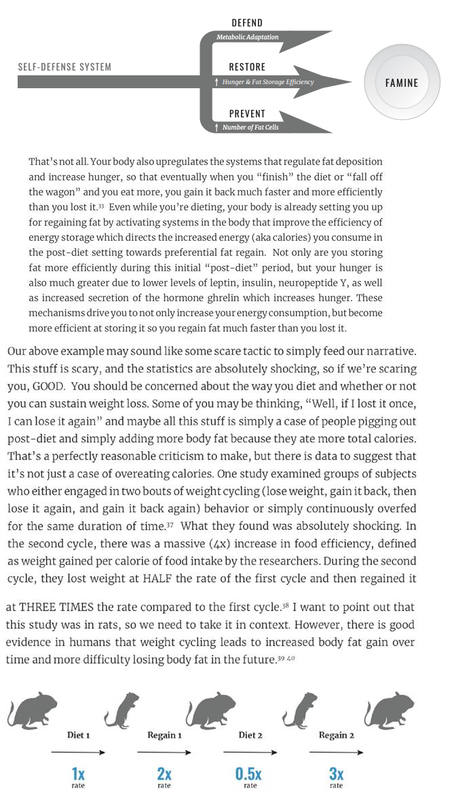 In Layne\'s new book he prescribes reverse dieting to the masses after a prolonged calorie deficit as apparently, it reverses metabolic adaptation, decreases fat storage efficiency and reduces the chance of creating new fat cells by overshooting your calories. He also says overtime with reverse dieting your body will become more leptin sensitive so you will be satiated with lower levels of leptin. This discovery is quite astonishing if it is real. \r\nThis is apparently Layne\'s best work. Does this information solve the obesity epidemic or is it more BS? Layne is a lying scumbag. His idea of metabolic damage goes against 50 years of data and so does this. I and others have debunked it comlpetely and you cannot restore metaboilc rate to normal or \'build metaboilc capacity\' in this fashion. He\'sa dumb guru selling bs to the gulilble.